Having a child truly changes your life. While you previously planned your day as per your liking, now your baby suddenly becomes the center of all your plans. You will be more concerned about whether your child has everything they need than whether your outing will be fun. One way to ensure that your kids are taken care of is to take a backpack diaper bag along with you and your baby regardless of where you go. Whenever new mothers hear the term backpack diaper bag, they tend to hoard everything into the bag. We are here to tell you the proper way to pack your backpack diaper bag. You need to stock your diaper bag in a way that you never run out of essentials. After all, you don’t want to be stuck with a smelly nappy on your outdoor adventure and no way to clean it. Here are some items without which your diaper bag will be incomplete. Let’s begin with the item which you can’t function without, a diaper. The number of diapers you keep in the bag should be selected according to the age of your child. For instance, newly born babies tend to need more nappy changes than, let’s say, a two-year-old. Therefore, how many diapers you store in the bag would be different. If your child suddenly exhibits a rash, make sure you have diapers for sensitive skin in your pack. The task of changing your kid’s diaper is incomplete without the use of baby wipes. 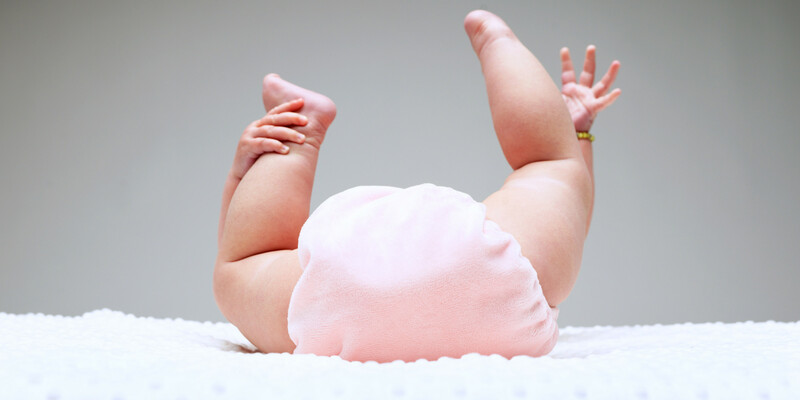 You need to wipe your child’s buttock clean to ensure that they do not suffer from any bacteria infestation. Check out this guide for the best wipes for your baby. Moreover, baby wipes are now used for other purposes as well. This includes cleaning their face after a meal or a day at the playground. You can’t go wrong with storing a few baby wipes. Another essential for nappy changes are plastic or biodegradable bags. We advise you to use the latter since biodegradable bags are a better choice for the sustainability of the environment when compared with plastic bags. Why will you need a bag? Well, you will need one to store used diapers in case you can’t find a garbage can nearby. You need to be prepared for the worst scenario. Now, this product is not for your baby but you. Once you have changed your baby’s nappy, cleaned up after them and have disposed of the used diaper, your hands will be quite dirty. Even if you don’t see the germs, trust us when we tell you that they are there. Hence, before you move ahead and eat something, make sure you clean your hands with a hand sanitizer. Hand sanitizers are available in small bottles which do not take up much space in a diaper bag. Therefore, you don’t need to worry about the product taking up things your baby needs. Your little one needs to be kept moisturized just like you. A baby’s skin is prone to getting dry. Additionally, you need to travel with sunscreen to ensure that the scorching heat does not harm the skin of your kid. Hence, always keep a travel-size baby cream in your diaper bag. Do not opt for bigger sizes than this as they will take up unnecessary space and will limit the variety of things that you could carry. You never know when the need for changing the clothes of your child arises. Whether it be the fact that your baby is not comfortable in a given outfit or experiences a poop explosion, as a parent, there is a high chance that you will find yourself in a situation where your baby needs an outfit change. Therefore, ensure that you always carry at least two sets of outfits with you. Children, especially under the age of three, tend to get restless quite easily. When you are out shopping or are visiting a friend, dealing with a crying baby is not the ideal situation. At such a time, if you have a pacifier in your bag, your life will be a lot easier. How? 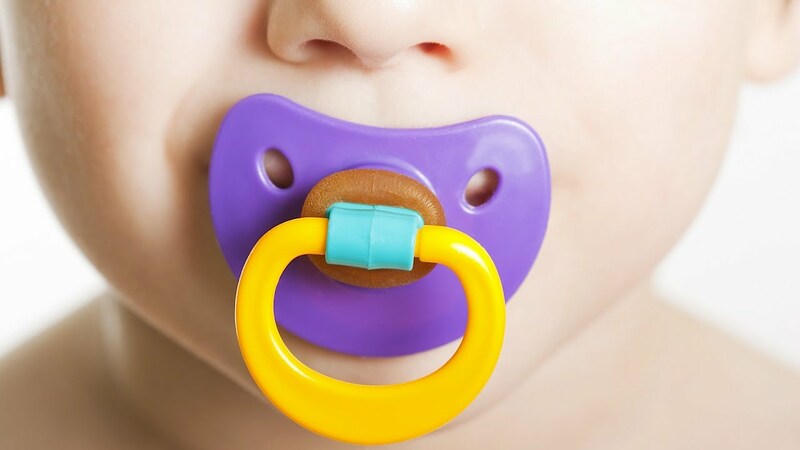 Well, pacifiers tend to comfort babies and ensure that they remain entertained without needing your assistance. This allows you to do your chores while catering to your little one. If your child is not comforted by a pacifier, you can exchange this item with a toy or anything else that might interest your baby. The fact remains that you need to carry something that soothes your kid. Stepping out of the house with an infant is a daunting task. You might feel that you are not prepared for it, but it is a chore which needs to be done since you can’t stay inside and expect to get your chores done. Equipping yourself with a backpack diaper bag and packing it strategically will allow you to make the most out of your outdoor adventure. As long as you have these essential items in your bag, rest assured that you are good to go. If you have space in your pack, you can also put in items like toys, snacks, keys and other things you need. Whatever you choose to do, make sure your little one is taken care of and is comfortable.